Popular mattress and bedding company Casper plans to launch a “multi-province retail fleet” and establish its first Canadian headquarters in Toronto, the company said in a release on Tuesday. This expansion means the retailer will begin to manufacture its products in Canada. The brand says it hopes to create 75 jobs across the country. Casper sleep products became available to purchase online in Canada in 2014. The company has since slowly expanded to temporary physical locations, with “snooze rooms” and a “Napmobile” tour in select cities across the country in 2016. Earlier this year, the brand partnered with Indigo Book & Music brick-and-mortar stores to showcase Casper “nap pods” in more than 30 stores, reports Retail Insider. The first permanent Canadian retail shop is set to open in Toronto in May, according to Casper. 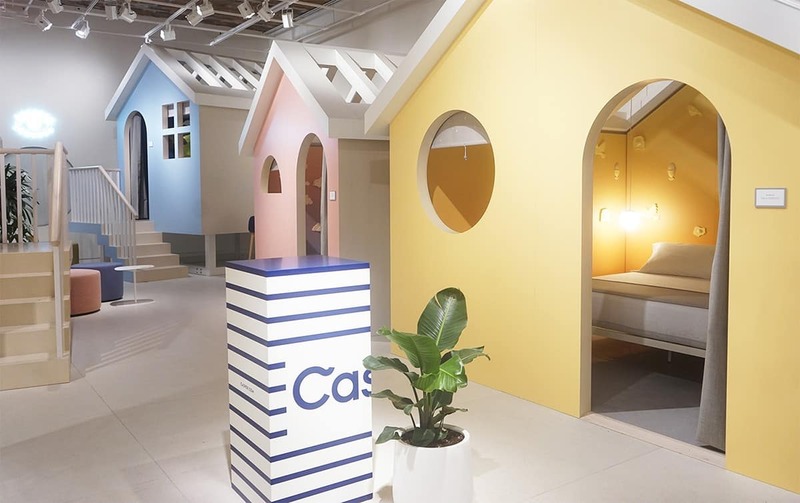 In the store, visitors will have the ability to shop Casper’s full product line, from pillows and pet beds to mattresses, “in one of four miniature homes,” says the brand. Customers can purchase items in the store and leave with their item or arrange delivery. You can read our take on the original Casper mattress HERE.